Cedars-Sinai Medical Center has been ranked as one of America’s 50 Best Hospitals for 2019. Cedars is one of only 10 hospitals in California to receive the top 50 ranking and the only one in greater Los Angeles. The ranking, which puts Cedars in the top 1% among American hospitals, was conducted by Healthgrades, a company that provides information about physicians, hospitals and health care providers. Cedars also has been named among the top 100 American hospitals in various specific categories. They include America’s 100 Best Hospitals for Cardiac Care Award, America’s 100 Best Hospitals for Critical Care Award, America’s 100 Best Hospitals for Prostate Surgery Award, America’s 100 Best Hospitals for Pulmonary Care Award, America’s 100 Best Hospitals for Stroke Care Award, the 2019 Coronary Intervention Excellence Award and the 2019 Neurosciences Excellence Award. Healthgrades bases its awards on patient satisfaction and clinical outcomes data obtained from the Centers for Medicare and Medicaid Services. 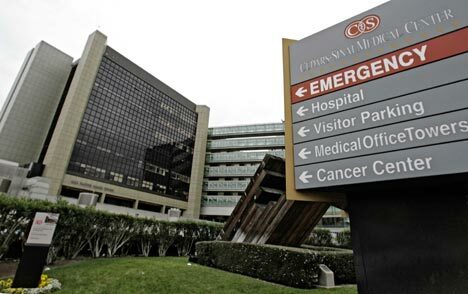 Cedars is a not-profit hospital primarily based on the southwest border of West Hollywood, just south of Melrose Avenue and west of La Cienega Boulevard. Cedars has other locations across Southern California. It began in 1902 as a 12-bed hospital in the Angelino Heights neighborhood of Los Angeles. Today, it serves more than 1 million people each year in over 40 locations, with more than 4,500 physicians and nurses and 1,500 research projects.